Corsair has officially released their new Carbide SPEC-05 Mid-Tower PC case. Read more about Corsair's new Carbide SPEC-05 Mid-tower chassis. 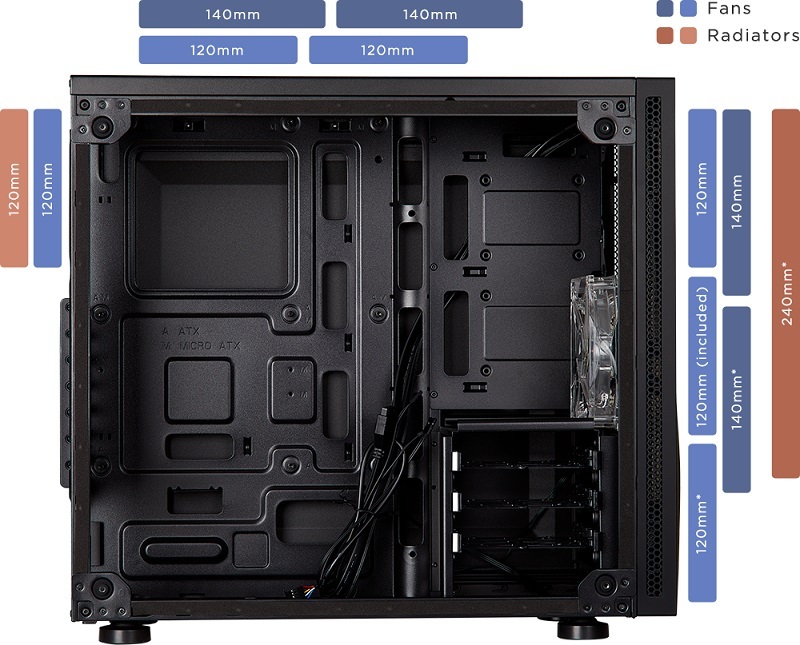 Well if you want a case with zero airflow then this is it. Not if you remove the HDD cage (which 90% of people will do) and fit all 3 fans to the front. Side vents still a bit small though, doesn't help at all that it looks very very cheap, in some ways it reminds me of the godawful H2 case from NZXT years ago. It looks really, really cheap. Like those unknown brand $20 cases. Probably performs like one, too.